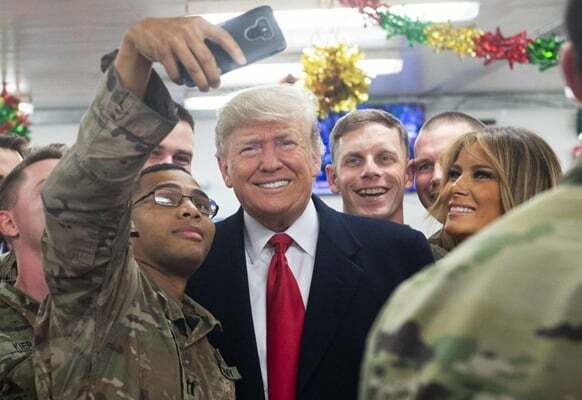 Statements by US President Donald Trump that Washington would use its bases in Iraq to “watch” Iran have met with widespread criticism from Iran and a wide array of Iraqi officials. “All I want to do is be able to watch. We have an unbelievable and expensive military base built in Iraq,” he said. The spokesman for Iran’s Foreign Ministry said on Tuesday the US is in no position to use Iraq against Iran. Speaking to Fars News Agency, Bahram Qassemi said Iran enjoys “deep” relations with Iraq, and people in the country would not allow the US to threaten Iran from Iraq. “The Iraqi people and government would not let their country turn into a base for the US government against Iran,” he said. The spokesman said the US presence in Iraq is illegitimate and Washington ought to leave the country as soon as possible and respect the Iraqi nation and government. The US presence in the region has brought nothing but billions of dollars of losses and heightened anti-US sentiments in the world, he said, warning Washington continued presence of the US in the region would cost dearly. “All issues, problems and catastrophes in the region result from the misguided and wrong policies of the US,” he said, adding that the US is still repeating its strategic mistakes and those who make a mistake must pay for it, he said. Iraqi President Barham Saleh said the US has not taken permission to “watch” Iran from Iraq, and Washington’s presence in the region is part of a bilateral agreement to fight terrorism. The former Iraqi premier, Haider al-Abadi, urged the US in a tweet on Monday that Iraq’s national sovereignty must be respected. Ammar Hakim, the leader of Iraq’s National Wisdom Movement, tweeted on Monday that Iraq won’t allow others to use it to threaten its neighbours. Earlier, Trump’s comments even raised eyebrows in Pentagon, with US officials expressing confusion over Trump’s remarks.